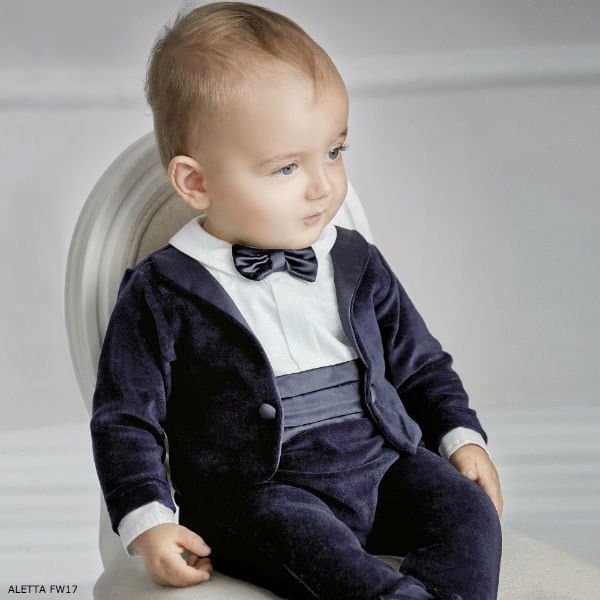 Your little baby boy will look picture perfect wearing this Aletta Baby Boys Blue Evening Suit Romper. Perfect for any special occasion, Aletta has designed this smart romper for boys when they need to dress to impress. With the appearance of a three piece evening suit, it is made in super soft, navy blue cotton velour with an attached jacket and satin trims, just right for special occasions. Comes in a gift box! Made in Italy.